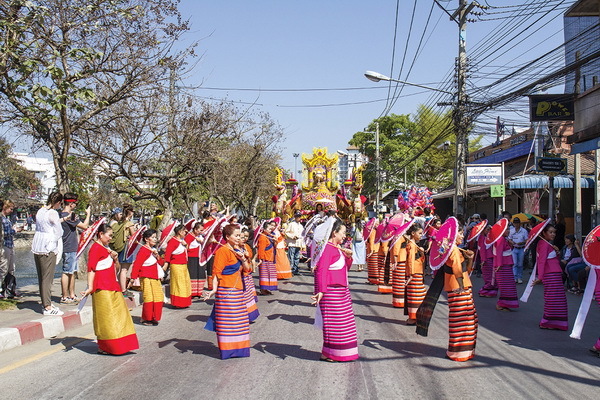 One of the best times to visit Chiang Mai is during the celebration of the Songkran Festival, also known as the traditional Thai new year, celebrated in mid-April. 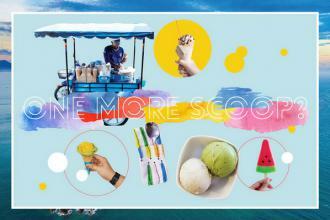 It is one of Thailand’s grandest and most important events. 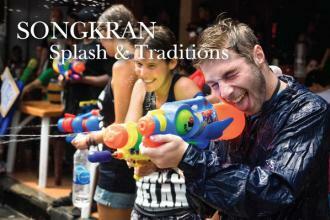 Songkran festival is a time when people return to their hometowns. Family and friends gather to pay gratitude to elders, and visit temples for prayers and offerings. 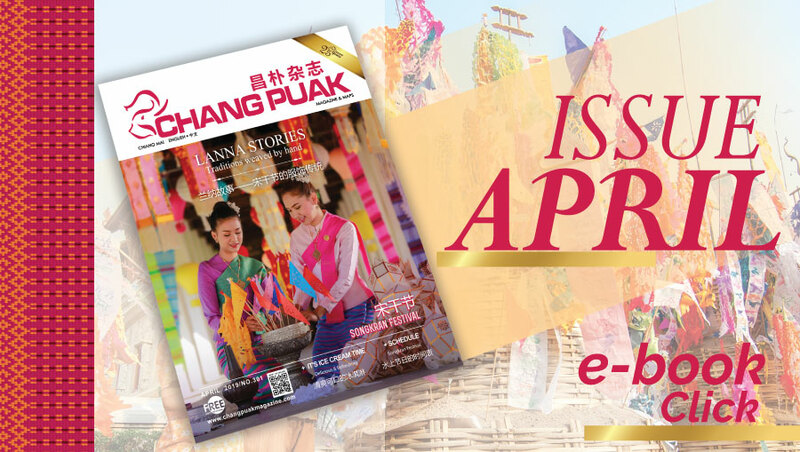 It is also this time of the year when people of Chiang Mai wear their traditional Lanna outfits and the city becomes a colorful and beautiful display of local craftwork and woven tradition. The idea is to preserve the heritage and elegance of Thai culture through the revival of not-so-often- wear-anymore attire. 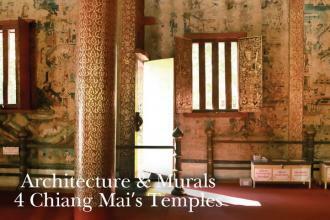 Chiang Mai and the Lanna region have been an independent kingdom, far before the country became Siam. 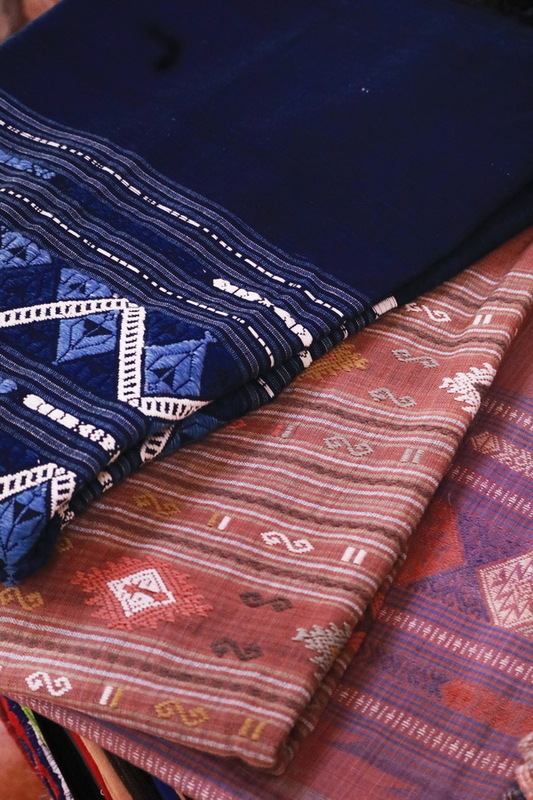 Therefore, Lanna people would have their own textile outfit style: men wore simple plain indigo or checked patterned materials wrapped around the waste, and women wore a Sarong, a tube-shaped skirt called Sinh, typically woven in far greater detail. Because Chiang Mai’s weather was too humid to be suitable for breeding silk worms, Lanna people would choose cotton. The cotton was collected from the fields in the area and passed all the process of seed separate, spinning, and natural color dying. Then it would come to the weaving process which northern women are famous at - always imaging and weaving beautiful patterns. 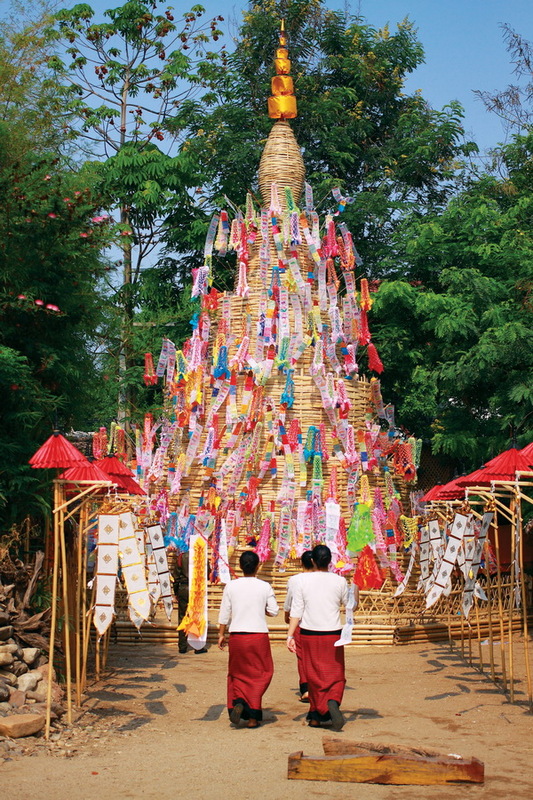 Pha Sinh as a skirt also indicated the social status and origin of women in the Lanna kingdom. The pattern of the cloth were different for each ethnic groups. The traditional Pha Sinh had a twelve-inch waist piece, usually of white, but sometimes of red or brown. The middle section of the Pha Sinh was called the Sinh ta or Sinh kan, and was usually around 50 centimetres. The bottom border of the cloth was usually of red or black colour, but sometimes for special occasions such as for going to temples or auspicious festivals, this section was of patterned weaving using tie-dyed weft woven with a plain warp design. 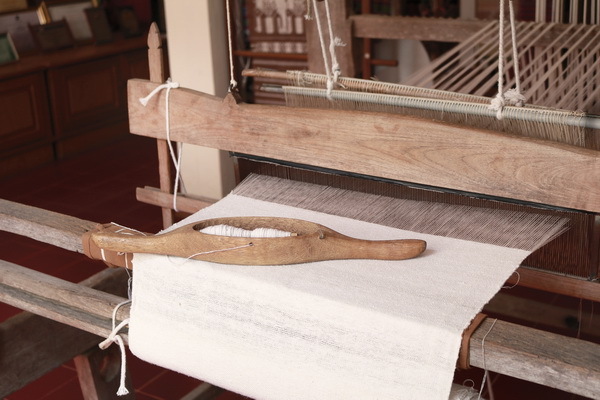 A technique is used to make a decorative pattern by lifting the weft across the warp to create specific designs. The design is called teen jok. Jok is a technique that requires weavers to embroider on the looms while weaving. Colours matter, therefore threads have to be dyed and precisely positioned on the fabric. 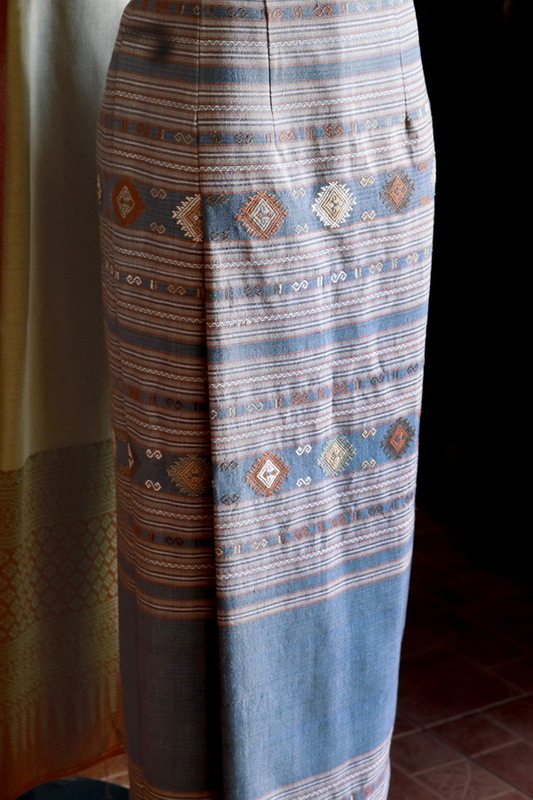 Chiang Mai jok, which was worn by elites, added value with the entire body of sarong being crafted from silver and gold threads. Rural areas, like San Pa Tong, also evolved and began adding some expensive materials and threads, though to a far lesser degree. 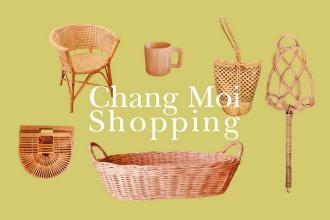 Other areas, such as Chom Thong and Mae Jaem, with less markets and trade, did not add any material and kept weaving with only cotton. If you would like to see Chiang Mai’s traditional attire, just take a walk in the city on a Friday afternoon: this is the day of the week when all students wear their traditional Lanna attire to go to classes. Each outfit matches with each school’s colors. 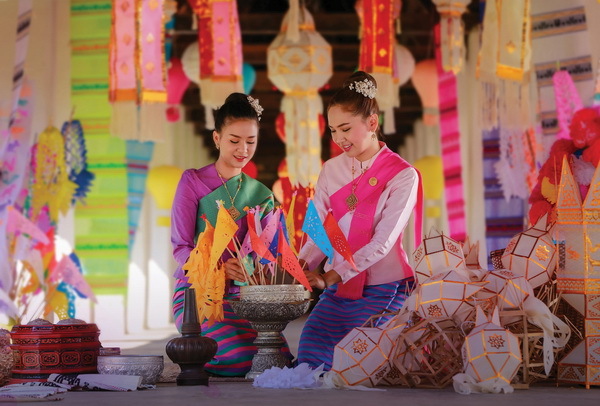 Another way to see beautiful Pha Sinh is to take a trip to Baan Don Luang Weaving Community in Pasang. This place has become the center of cotton weaving and apparel making in the area; this is where you will see the traditional cotton hand-weaving techniques. 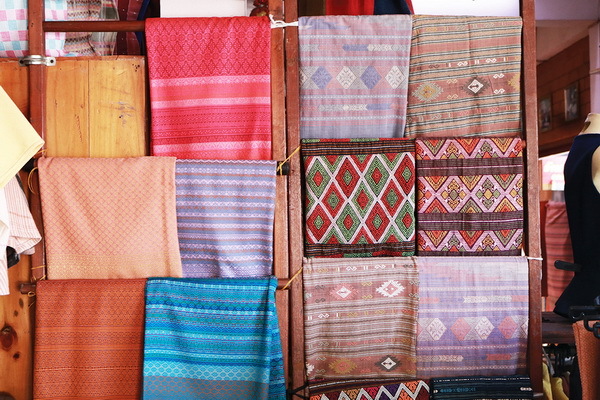 Pasang district has a long tradition of cotton weaving; it lies close to the city of Lamphun, less than an hour southeast of Chiang Mai. 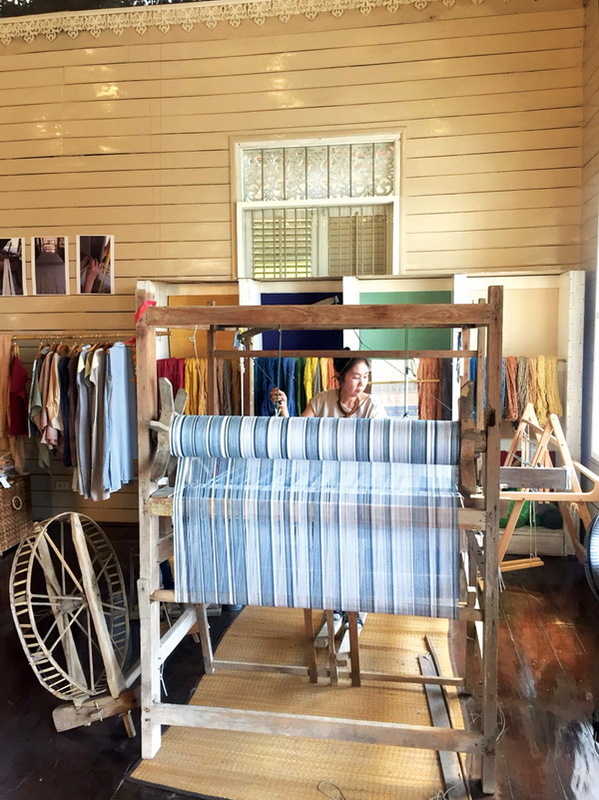 Over the years, Baan Don Luang has become one of the centers of cotton weaving in the north and this is the place where you can actually see women weaving beautiful products. 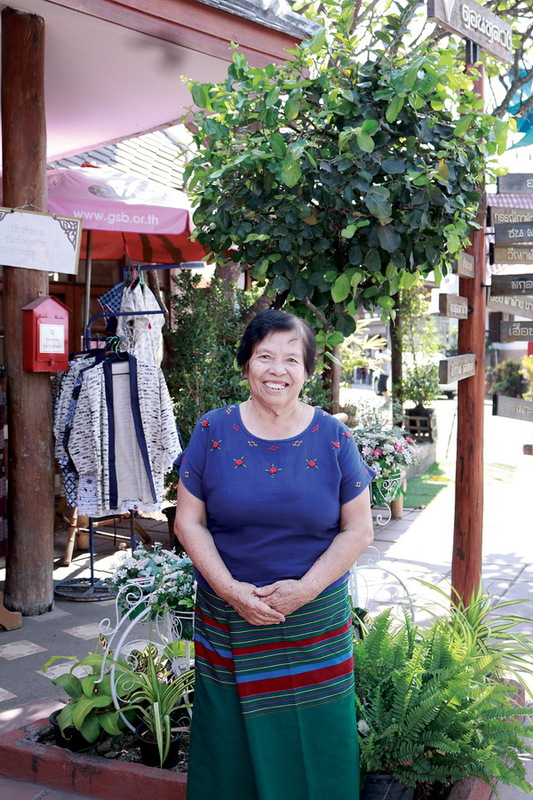 In this community, you will find dozens of small and medium size shops that sell Pha Sinh, shirts, sarongs, scarves but also rugs, pillows, curtains, mats, handbags, and just about anything that can be made from cotton. And if you don’t always hear the clacking of wooden loom, just ask around, vendors will show you behind their homes where they are hidden. 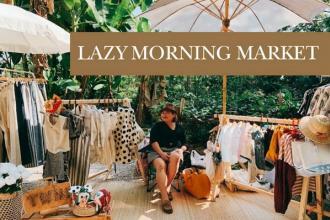 The first thing you will probably notice in this community is the kindness of it’s people: everyone is relaxed, and has time to talk with you and will answer your questions, whether you buy their products or not. This is truely a relaxed and pleasant atmosphere. 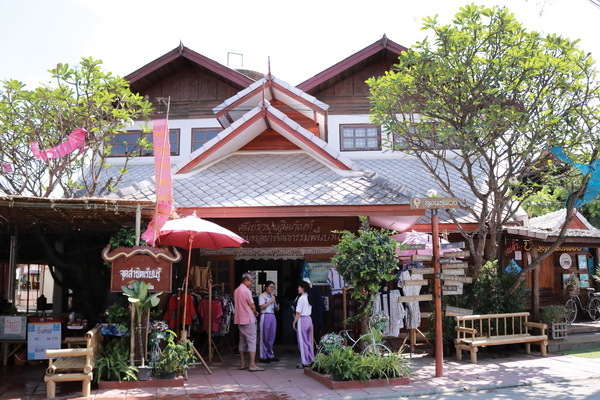 While visiting, you should first stop at the “Don Luang Association and Cotton Museum”. This is where Auntie Somboon Yajan shows the techniques of cotton weaving, on a 100 years old loom which used to be her grand mother’s. 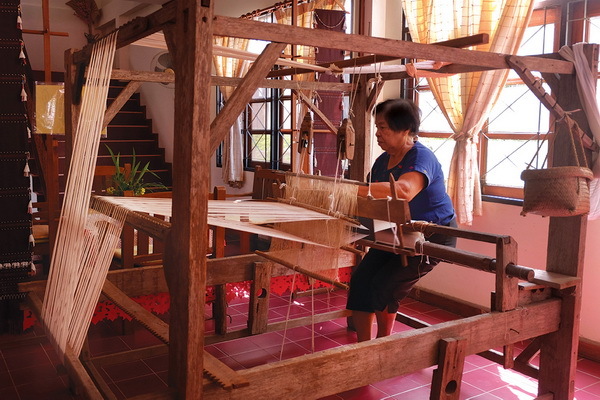 She dyes, spins and weaves the cotton by hand in the true traditional style, and she will kindly let you experience the hands-on techniques on her loom. A trained weaver can produce 6 to 8 meters per day. Their shuttles (a device that carries the horizontal thread across the fabric) can be a blur as it moves so quickly across the fabric. Keep walking into the village and don’t be shy to approach women and their looms for a closer look. The weavers are proud of their traditions and are happy that you are interested in their work. 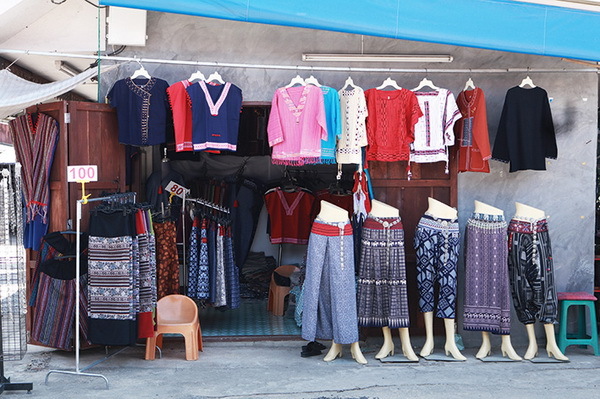 A true hidden gem in Lamphun district, Baan Don Luang Weaving Community, has many shops offering clothes to home accessories-all made in cotton. But this is just the tip of the iceberg: these establishments are also wholesale manufacturing businesses with most of their products being shipped to Chiang Mai, Bangkok and southern Thailand. 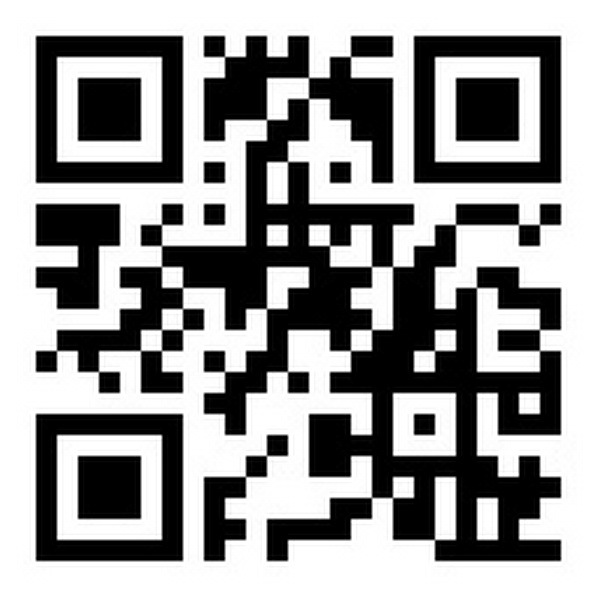 You will probably notice that many articles you have already seen at the Sunday walking street or Warorot market, come from here, at half of the price. And if you are a true cotton lover, don’t miss “Don Luang Cotton Fair”, from 5 to 9 April: this exhibition promises to be a beautiful event with the whole village transformed into an extensive walking street, hundreds of vendors form the local community, all dressed in traditional cotton attire, as well as products and workshops. It’s all going to be about cotton spinning, dyeing and weaving! 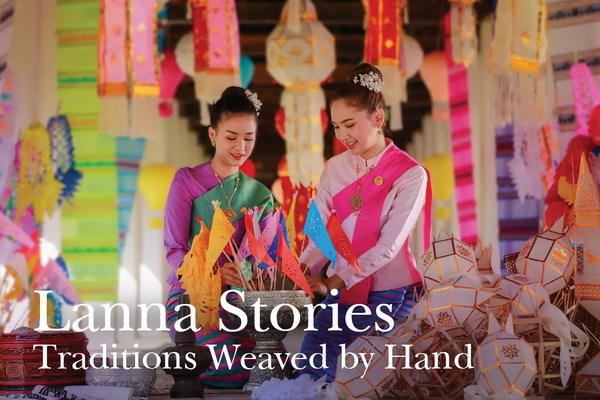 A beautiful highlight on the importance of Lanna art, culture and heritage. Mae Raeng, Pa Sang District, Lamphun 51120. 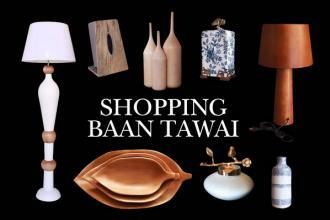 Open daily 8.00am to 6.00pm.